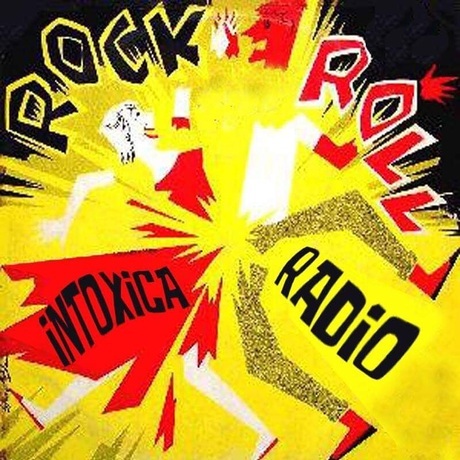 INTOXICA RADIO Feb. 26, 2019- Fund Drive on now! All our pitching prizes & premiums are still current! Please go to store.luxuriamusic.com as there's tons of amazing stuff we have all donated! 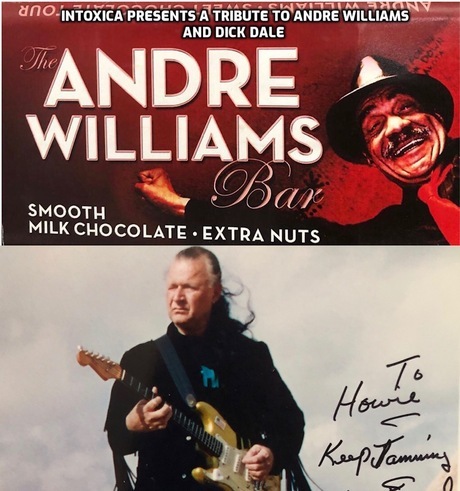 I have DVDs & Miriam Linna's autographed Andre Williams Book is up there along w/her Sun Ra book! All from Kicks Books! (The signed Kim Fowley autobiography "Lord of Garbage" has been taken...) Check it out! 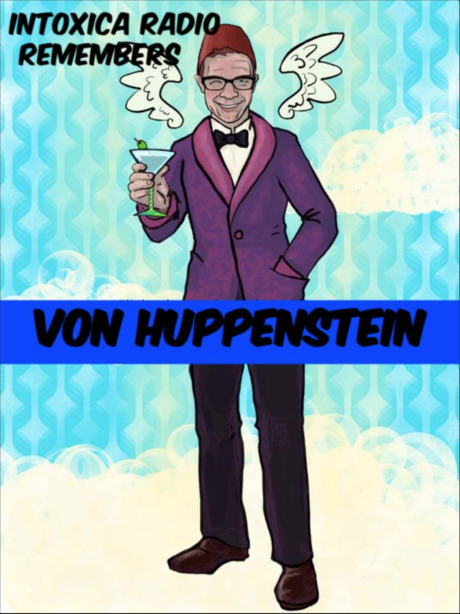 Fund Drive is on now! No one gets paid! Lotsa great premiums to be had! 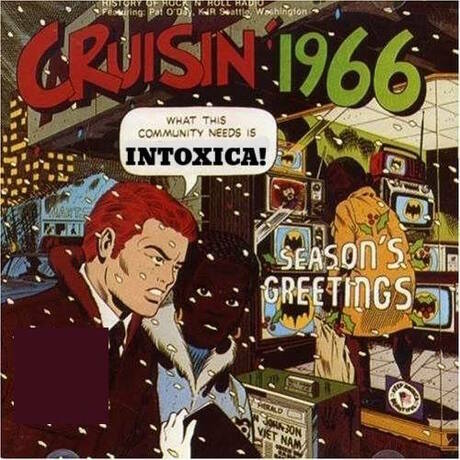 MERRY XMAS FROM INTOXICA RADIO! Sorry for my Tardyness! It always gets krazy around Halloween through the end of the year holidaze!!! I will be catching up with posting...N-Joy!! We are alive! 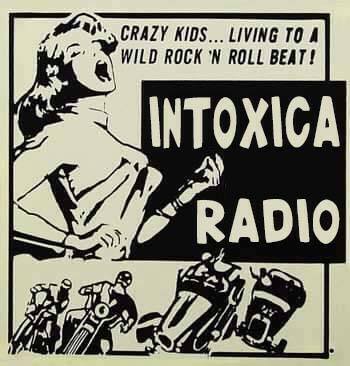 Tonite on Intoxica! 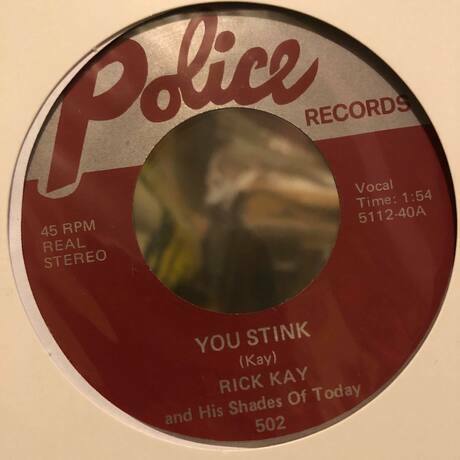 So grab your drool cup©, plug in your iTard©, strap yourself in the spinning (and sometimes talking) chair, turn on your Intoxica listening device and join me tonite ALIVE!!! 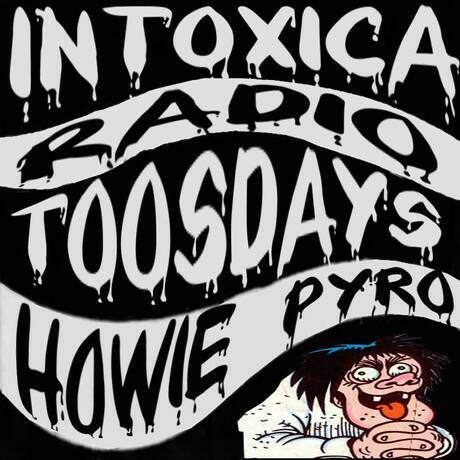 At 9PM Karloffornia time at www.LuxuriaMusic.com #intoxicaradio #howiepyro #luxuria #radio #records #rocknroll #rhythmandblues #soul #retard #rockabilly #garagerock #dance #dj #KarlKaos Art by Karl Kaos! 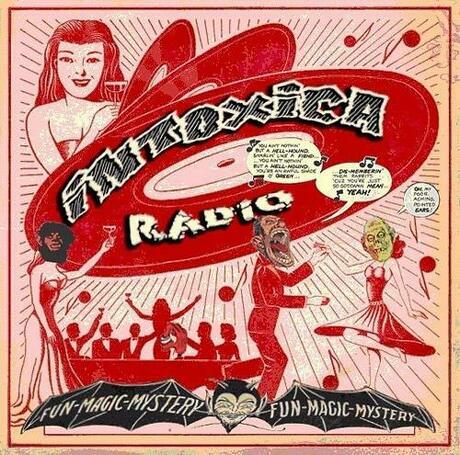 Finally alive and in person tonite at 9pm Karloffornia time....Intoxica Radio live!!!! Tonite! 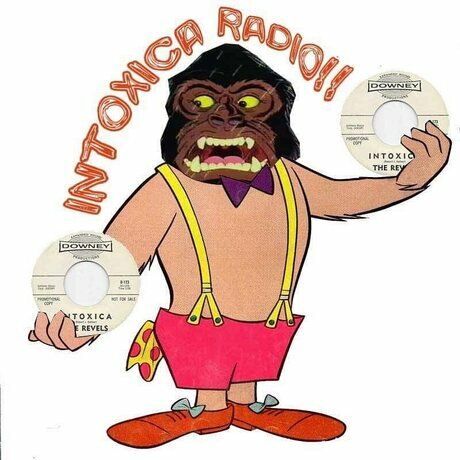 Intoxica radio will be live & on the air at 9PM Karloffornia time! Demented? Yes! Rockin'? Hell yeah! It’s hot as a witches zit out here! So it’s close enough to say it’s summa-time, summa-time, sum sum summa time and all that hot poop!!! So grab your drool cup©, plug in your iTard©, strap yourself in the spinning (and sometimes talking) chair, and join me tonite ALIVE!!! 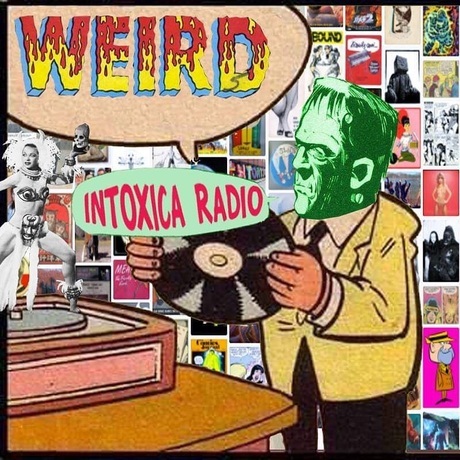 At 9PM Karloffornia time at www.LuxuriaMusic.com #intoxicaradio #howiepyro #luxuria #radio #records #rocknroll #rhythmandblues #soul #retard #rockabilly #garagerock #dance #dj #KarlKaos Art by Karl Kaos! !